Klicka här för att komma till anmälan med Paid warm up pdf. Statement är på väg ut nu och vi kommer att skicka ut nya när alla inbetalningar är införda i systemet. Tidsplan för paid warm up kommer ut imorgon eftermiddag (tisdag). Tidsplan för fredagen kommer ut på onsdag kväll. Boxplaner sköts och läggs ut av Hälldala. OBS! Det finns ingen NRCHA Spectacular eftersom det inte var tillåtet att erbjuda när man gjorde en jackpot show. Men allbreed delar ut lika mkt pengar som en NRHA och eller ERCHA men ger inga records!! Vi hör att anmälningar till warm up har gjorts till Hälldala...vill ni vara säkra på att komma med så använd formuläret på hemsidan eller maila swshows@live.se! OBS! inga anmälningar/ändingar, byte eller tillägg via fb, messenger eller sms godtas överhuvudtaget!! Or click here for easy access. Congratulations to all competitors for great work during the year, Myself and Catharina from SWShows would like to thank all of you that has supported our shows and visited with us in the show office and of cause i huge thank you to Oakridge Quarter horses and Sherwood shows for having us over and run all the approved shows it is a pure joy to work with you! The Oakridge staff with now Diane in the lead and all other staff and helpers (especially Mark of cause), you know who you are a big and heartfelt THANK you for another succesful and fun year. The planning for 2019 are in full swing and judges are booked daily for all the shows, please check out the calendar for show weekends, both European and Uk show will be added as soon as I get the correct dates...quite a few are already added, since Garden of England with Jane has some of hers planned and so has Oakridge. We wil have some new exciting plans for 2019 you do not want to miss out on them....check out the website news! We are the ones first out in UK I believe with our BIG Dream clinic and following show in February! Do not miss out on Jason Vanlandingham clinic and do not miss out od the first show following that clinic Winter Slide! Showbill and entryform for the show will be published shortly. Thank you for 2018 and see you all in 2019! This is a combination of classes that have proved to be poular and we think will even grow for 2019 and in the future like than Ranch Riding has. I wonderful step forward fo rthe western sport. Congratulation to all competitors who shows the versatility of your horses by competing in VRH Ranch Riding, VRH Ranch Reining, VRH Ranch Trail and VRH Conformation a combination of classes that shows both versatility and a good conformation is valued. Lee Rutter/Santa Cruz Whiz, Sarah James-Nock/Spook A Skywalker, Karen Shaw/Gunns Little Rose and Cat Wright/Strait N Boston Chick. See you in Ranch classes in 2019! Follow this link to see results for the classes during Halloween show 2018! Gör som Anna och Mikael på Rockcarvriver ranch..maila oss om dina tävlingar, träningar och annat skoj så lägger vi ut det och kan forsätta att bjuda på en relativ komplett kalender för norra europa i alla fall. På långfredagen 2019-04-19 blir det BRASTAD RODEO CATTLE ROUNDUP med Ranch Team Sorting, Team Sorting och Cattle Penning. Helgen före midsommar 2019-06-15 blir det BRASTAD RODEO WESTERN CHALLENGE med Roping, Barrel Race och Pole Bending. Vinnarna kommer i år få motta bältesbucklor från Gist Silversmiths. Mer information kommer efterhand att finnas på Facebook Brastad Rodeo och hemsidan www.rockcarvriverranch.n.nu Första anmälningsdag är 1 januari 2019. All of you (Reiners aswell as Allrounders) NEED to check the updated shedule ASAP! Trail classes have been moved as well as reiningclasses, some of them have changed day to be held so Please check out the new schedule! 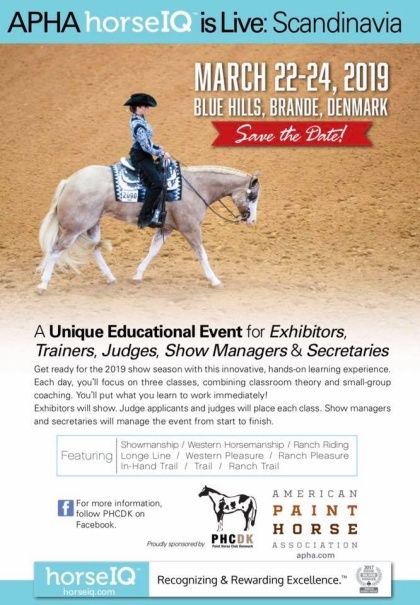 We are really sorry about this and I know that many of you already have entered and maybe have to do some changes to make the show work for you and your horse. But on the good side..the patterns are published, you will find reiningpatterns as well as Ranch Riding, W Riding and VRH pattern numbers in the schedule. Please just send me and email at swshows@live.se and tell me what you need to have changed. Patterns will be advertised tomorrow as well as invitation. We are sorry but there will be NO indoor stables avalible for participlants at this show except for our sponsors. NEWS! VRH classes with beautiful prize for the overall winner! Click here to go direct to entryform. 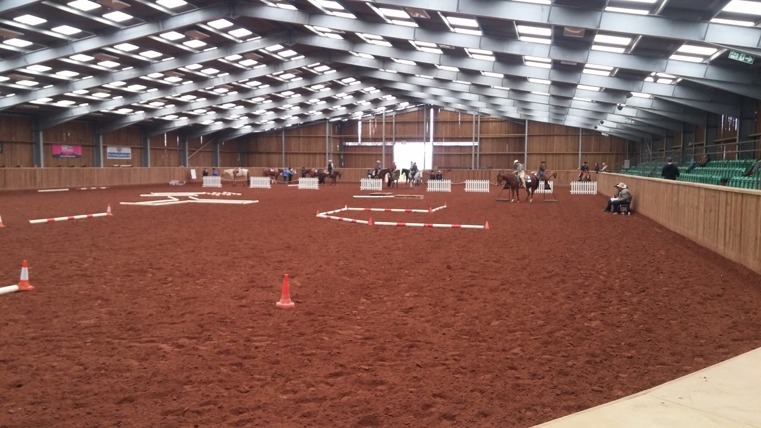 It is possible to attend as a judge applicant, as a show rider (both with young horses and riding horses) or as a show manager. More details are coming soon på FB Click here to go to event!